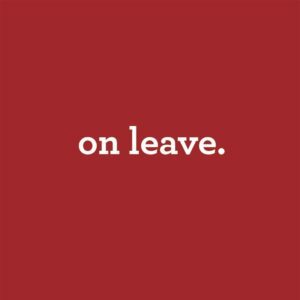 On Research Leave | Keisha N. Blain, Ph.D. I am excited to share the good news that I have been awarded a 2018-19 Ford Foundation Post-doctoral Fellowship. The fellowship supports individuals with evidence of superior academic achievement who are committed to a career in teaching and research at the university level and who show promise of future achievement as scholars and teachers. The awardees are also expected to be prepared to use diversity as a resource for enriching the education of all students. Fellowships are awarded annually in a national competition administered by the National Academies of Sciences, Engineering and Medicine on behalf of the Ford Foundation. Through its fellowship programs, the Ford Foundation seeks to increase the diversity of the nation’s college and university faculties. During the fellowship year, I’ll be busy writing and conducting research for my next book projects on black women’s political activism. I’ll be sure to share more details on these projects in the coming months. For now, I plan on writing, writing, and writing some more! In order to prioritize my current projects, I am not accepting any new writing assignments. I am also not accepting new requests to review article or book manuscripts; join award and fellowship committees; or join editorial or advisory boards. I will check my Pitt email sporadically. For speaking engagement requests related to my recent book, please send an email with details and I’ll be happy to consider. I should note, however, that my Fall schedule is already filled. I would prefer to discuss opportunities for Spring 2019 or thereafter. During my research leave, I will continue to serve in my capacity as president of the African American Intellectual History Society (AAIHS) and senior editor of its blog, Black Perspectives. Thanks so much for your interest in my work! As always, I appreciate your kind support.